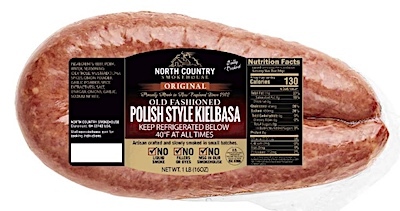 US/Washington: North Country Smokehouse, a Claremont, New Hampshire establishment, recalls an estimated 2,686 pounds of ready-to-eat Sausage products due to suspected metal fragment contamination and consequential risk of choking, oral injury, internal ingestion and GI tract laceration damage, all serious health and safety hazards. 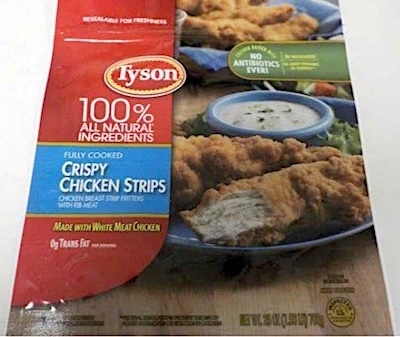 US/Washington: Tyson Foods, Inc., a Rogers, Arkansas establishment, recalls an estimated 69,093 pounds of Tyson & Tyson & Spare Time branded Frozen, Ready-To-Eat Chicken Strip products due to suspected metal fragment contamination and consequential risk of choking, oral injury, internal ingestion and GI tract laceration damage, all serious health and safety hazards. US/Washington: Productos La Aguadillana, Inc., an Aguadilla, Puerto Rico establishment, recalls an estimated 35,870 pounds of Breaded Chicken Patty products due to suspected metal fragment contamination and consequential risk of choking, oral injury, internal ingestion and GI tract laceration damage, all serious health and safety hazards. 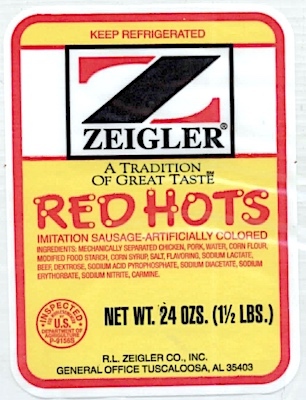 US/Washington: R. L. Zeigler Co., Inc., a Selma, Alabama establishment, recalls an estimated 11,664 pounds of Zeigler-branded ready-to-eat (“RTE”) Poultry and Pork Sausage products due to suspected metal fragment contamination and consequential risk of choking, oral injury, internal ingestion and GI tract laceration damage, all serious health and safety hazards. 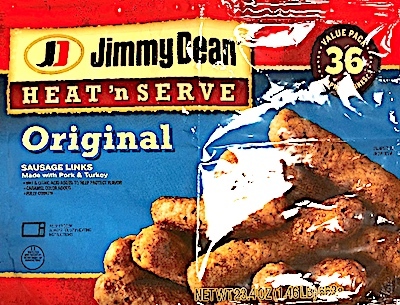 US/Washington: CTI Foods LLC, an Owingsville, Kentucky establishment, recalls an estimated 29,028 pounds of frozen, ready-to-eat (“RTE”) Jimmy Dean Heat ‘n Serve Original Sausage Links made with Pork & Turkey Sausage products due to suspected risk of metal fragment contamination and consequential risk of choking, oral injury, internal ingestion and GI tract laceration damage, all serious health and safety hazards. Canada/Ottawa: Sobeys Inc., a Stellarton, Nova Scotia establishment, recalls certain batch/lots of Safeway brand Ground Beef products due to suspected Metal Fragment contamination and consequential risk of choking, oral injury, internal ingestion and GI tract laceration damage, all serious health and safety hazards. 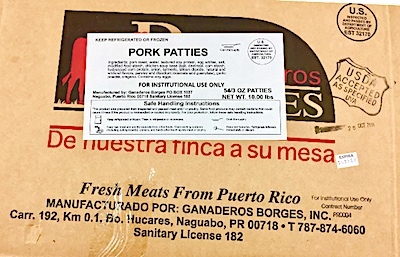 US/Washington: Ganaderos Borges, Inc., a Naguabo, Puerto Rico establishment, recalls an estimated 14,760 pounds of Pork Patty products due to suspected metal fragment contamination and consequential risk of choking, oral injury, internal ingestion and GI tract laceration damage, all serious health and safety hazards.